Highlighting our current community involvement is the state-of-the art training warehouse that was donated by Warehouse Design in 2014 to Guilford Technical Community College (GTCC) in Colfax, NC. This training warehouse was featured in the MHEDA journal in 2015 based on the impact it is having on the development of highly needed employees in the Supply Chain & Logistics industry. 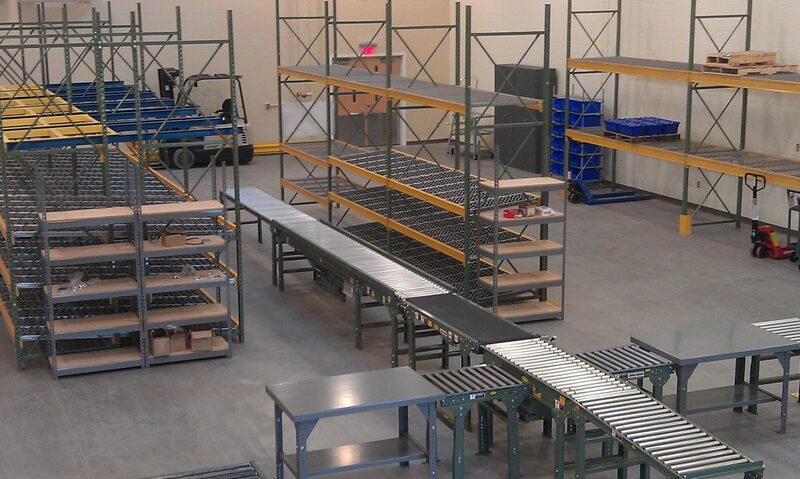 This 5,000 SF fully interactive training warehouse is complete with both static and fluid storage, a powered sortation conveyor system, stretch wrap machine, loading dock and lift equipment that allows the students to fully simulate an active warehouse or distribution center. It provides the students with hands-on experience without having to leave the campus. This facility is open to both students and private industry for training purposes. As a continuation of this program a similar scaled down version of the GTCC training warehouse is being donated and installed by Warehouse Design at Western Guilford High School in Greensboro, NC. 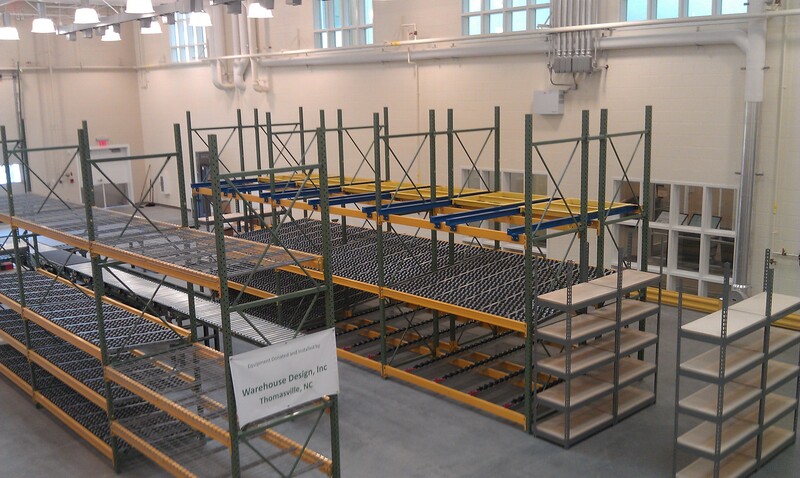 This training warehouse lab will be available for use in the fall semester of 2016. The training warehouse will now allow high school students to be introduced to a career path in the Supply Chain & Logistics industry. This will also help to form a bridge between high school and the next levels of higher learning in the Supply Chain & Logistics industry such as GTCC. This is all part of the “Supply Chain, Logistics & Material Handling Industry Education Awareness” platform that Warehouse Design is promoting on both a local and national level. With an estimated 1.4 million new supply chain workers needed by 2018 we have to start doing our part to see that this career path is conveyed to our next generation. Warehouse Design is a strong believer in promoting awareness of our industry and it starts with introducing the vast array of jobs available in our industry to high school age students. That is why we strongly endorse the educational platform that is being promoted at Yadkin Valley Career Academy in Lexington, NC. 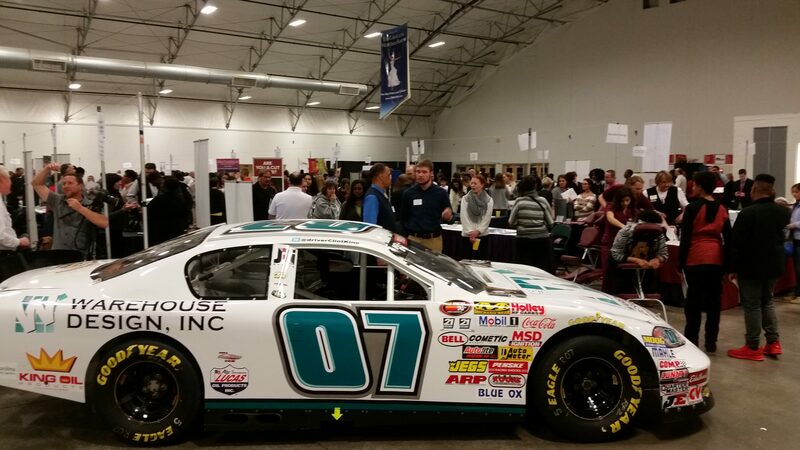 Yadkin Valley Career Academy recognizes that we have an immediate need for workers in the Supply Chain & Logistics industry and they are doing their part to introduce students to this career path. To show our support to this program Warehouse Design’s Warehouse Manager & Systems Sales Specialist Clint King currently services as a Board Member for Yadkin Valley Career Academy. This position helps us to better understand the specific training tools needed and interest level of their student body. It also ensures a connection between the school and the actual industry. In addition to the offsite training warehouses donated by Warehouse Design we are also creating our own in-house training warehouse that can be used for both customer R&D and support to local schools that do not have the privilege of having an in-house training facility. This facility will be open to local schools to assist with creating awareness about our industry and to provide a hands-on experience without the safety and security concerns of visiting operational manufacturing or distribution facilities. 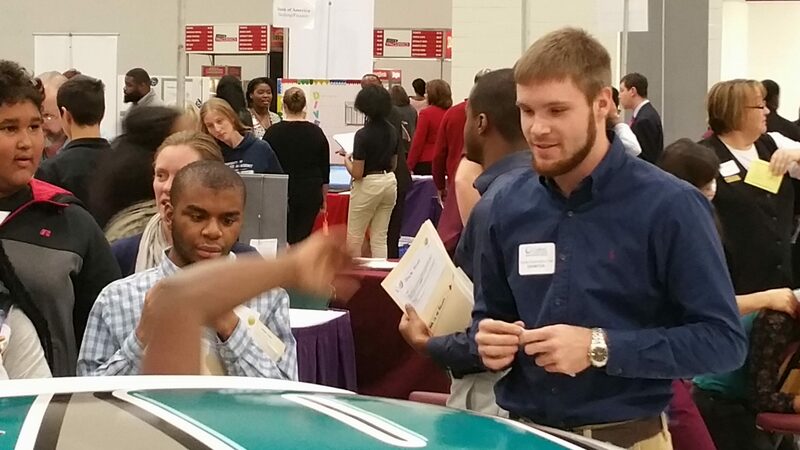 Our Warehouse Design millennial age representatives Clint King & Matt Ellis regularly attend career fairs and high schools lecturing students about the careers in Supply Chain & Logistics. Keep a check on our blog for the next appearance. In November 2015 MHI (Material Handling Institute) launched a new awareness campaign to connect, engage and inspire next generation workers to pursue manufacturing and supply chain careers. Contestants were asked to submit a video or blog sharing their stories on why they should be nominated as the “Face of Supply Chain”. Stories from around the nation were submitted and our own Clint King’s video resulted in him being selected as one of the three national finalists. He was recognized during the MHI Industry Night at MODEX 2016 in Atlanta, GA. Check out Clint’s “Face of Supply Chain” video. Through support from J&L Wire our “Supply Chain, Logistics & Material Handling Industry Awareness” platform is receiving national exposure as our own Clint King will drive a car in the Richmond International Raceway NASCAR Xfinity series race on September 9, 2016. J&L Wire will be the primary sponsor and we will carry the words “Speed – Precision – Supply Chain ®” on the car to promote awareness of our industry. We are working with a leading trade association with hopes we can get more companies to support this platform and continue this awareness program into 2017. This national outreach program would increase awareness about the many career paths in our industry and potentially provide funding to schools for necessary training materials needed to prepare students for a career in the Supply Chain, Logistics & Material Handling Industry.